Submitted by dougj on Mon, 2006-01-02 19:22. A student said to the master, "I feel as though I have been raising a goose in a bottle. Now the goose is so big that I can't get it out without either breaking the bottle or harming the goose." The master said to the student, "Sir, it's out!" Hearing this, the student instantly awakened to reality. It's time to admit something to myself that I've suspected for a long time: I'm positively bored with productivity. Not productivity, as in being productive, you must understand, but reading endlessly about productivity the topic. This is probably heresy, and I can hear the loud and reverberating mouseclick of throngs of people unsubscribing my blogs from their feed readers. But it's something that I just had to get off my chest. For a couple years now, I've faithfully followed 43 Folders, GTD Zealot, LifeHack.org and other top-notch productivity-related blogs (especially those concerned with GTD), and mused about all the wonderful little strategies for accomplishing more within my increasingly limited time. And I read, and I experimented, and I learned. Then one day I woke up and decided I was rather tired of it all. Now, don't get me wrong. I'm not saying productivity sites aren't valuable. 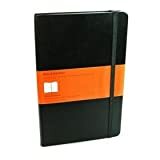 Nor am I going to slacken the progress on DIYPlanner.com or the D*I*Y Planner project: if anything, they'll be stronger than ever, since I've never seen productivity as a well-defined boundary or paradigm for it. ("Limitlessly open. Nothing is sacred.") But here's what I realised: I have arrived at my destination. I no longer have to wonder endlessly about how to become productive: I know what works for me, and how to go about it. Of course, I'm not so vain as to believe that my methods can't be improved. They certainly can, but I'm just not going to be obsessive about it. I just have to watch for the slowdowns, speedbumps and obstacles, and figure out the best ways to deal with them. I don't have to read hours of productivity articles and links each day just to squeeze out another few minutes of work time. In a way, it's similar to what I've learned lately about technology. Both are journeys, at least for me. But as much fun as the trip can be, it's important to realise what one's destination is, so you know when you can stop, at least for a while. Else you can spin your wheels forever, never able to rest. I have my calendars, my action lists, my reference materials, my structured projects, and so forth. As long as I'm diligent and stick with them, they work. Why do I have to keep searching, keep charging ahead with clever tricks and hacks, keep pushing forward with new and increasingly complex or simplistic ways of doing things? It's time to admit to myself that I don't, at least for now. Whew. The goose is loose. Submitted by bob (not verified) on Mon, 2006-01-02 21:32. Your fatigue with productivity is refreshing. The constant craving to tweakify ourselves into Formula-1, productivity powerplants really balds the tires after a time. Pit stop please. And the best thing we can do, Buddha said, is to sit around and waste time. This gives us the notion that time can be something velvetly and viscous, not violent and vicious. Think of what must have been those long, long, Victorian afternoons. I hope you continue to let loose this self-reflexive goose of criticism of productivity-pushuppance. Submitted by Joel on Mon, 2006-01-02 23:26. To finally arrive at a destination is a beautiful thing. Submitted by coffeecupkat on Tue, 2006-01-03 12:56. You know, it's a very good thing that you "came out" about your "productivity ennui" because it gives those of us who are just beginning the journey of learning to get our collective stuff together hope that one day, we too, will get there as well. Most major lifestyle and behavior changes are prompted by a crisis state. Which usually prompts an obsessive approach to finding a solution. Generally when one is drowning, they are a bit frantic at searching for a rescue option. But it's odd that often, after the crisis has passed, the obsessive need to tweak and improve remains for a while. Probably lingering fear of going back to the situation that caused the crisis. It's good to know that you reach a point where you have confidence in your ability to swim, and can relax and enjoy the water for a while. About time somebody said it! Submitted by Mike_R (not verified) on Tue, 2006-01-03 14:41. About time somebody said it! Thanks for the insight. Submitted by Hamish (not verified) on Tue, 2006-01-03 16:33. I've just deleted all my RSS feeds about computer gadgets. I realised this is distracting stuff -- most of it amounting to little more than third-party adverts for more and more expensive gear. I already have everything I need to be creatively productive. Following these developments and constantly buying more stuff is just another way to avoid getting into the creative projects that, once I am into them, will really fulfill me. The same is true of systems: If they're really worthwhile, they should eventually become transparent. Sounds like you've reached a new plateau of transparency. Neat. Submitted by Kurt Settles (not verified) on Tue, 2006-01-03 17:35. I remember the first time I read GTD. It was eye-opening. I remember setting up a tickler file (now unused). I remember setting up @Action, @WaitingFor, and @ToRead/Review in my Outlook folders (used faithfully). I remember trying to write down everything outside my head (NEVER COULD). You just have to take what works for you and move on. Unfortunately, there's now a "cult of GTD" at work on the Internet and if you spend too much time there, tweaking and reconsidering your strategies, GTD becomes NGTD (never getting things done). Submitted by flexiblefine on Tue, 2006-01-03 21:30. David Allen said something to the effect of "When you understand Getting Things Done, you no longer think about Getting Things Done, you're just getting things done." It's on the GTD Fast CDs somewhere. Submitted by cornell on Wed, 2006-01-04 02:13. As they say, it's the journey, not the destination. Submitted by dougj on Wed, 2006-01-04 16:16. While the most apparent reason, of course, is procrastination â€“tweaking our systems makes us feel like weâ€™re somehow accomplishing something while simultaneously avoiding any real workâ€“ Iâ€™ve noticed that there are four chief archetypes of people that obsess about their systems (although I doubt that anyone of us is wholly one or the other). Iâ€™m calling them Tinker, Tailor, Soldier and Spy.